Liar Liar opening line: Something was not right. Harriet Blue is on the run. She has to put all of her police skills to use to stay off the grid. And commit crimes to get revenge. She will not stop until Regan Banks is dead. But will she have the courage to kill him? You would have to read the book before this one to fully understand where Harriet is coming from. 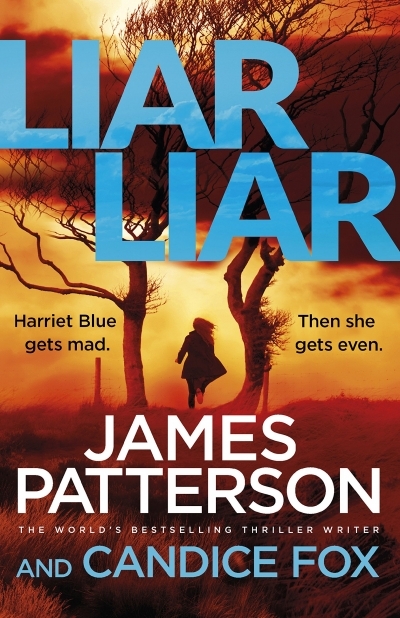 Regardless, this is a great read in keeping with all of James Patterson’s novels. I must have read Fifty Fifty on my e-reader and therefore I have not reviewed it. This novel is the fourth in the series of books about Harriet Blue. An interesting note: This is the second novel with the same name I have reviewed on my blog. Take a look at Liar Liar here.